Happy Friday, everyone! How are your April? I've been very busy lately to deal with a lot of stuffs. Therefore, I don't really have to time and mood to take any pictures and update my social media. I'm so sorry about that! Therefore, I'm not sure if I can update frequently as before in May. If I do not update anything on May, I hope you guys understand. 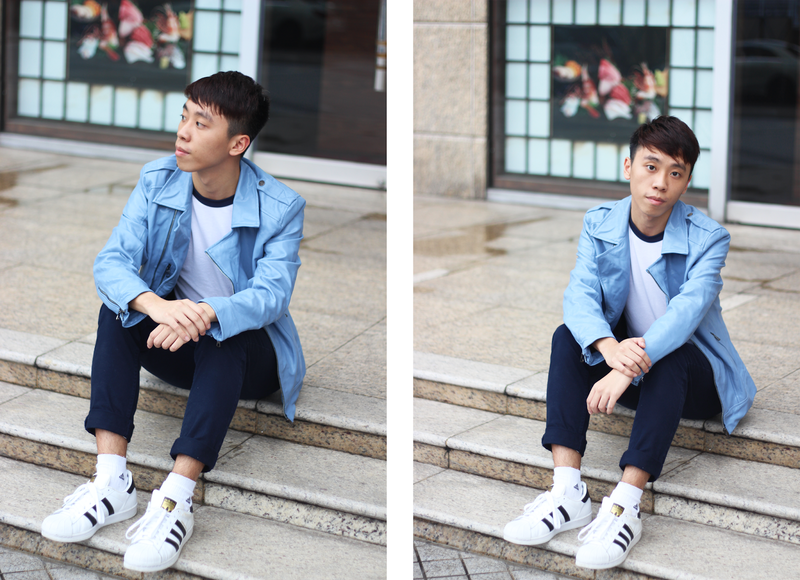 Anyway, for today's post, I'm sharing how I wear baby blue faux leather jacket to you guys! 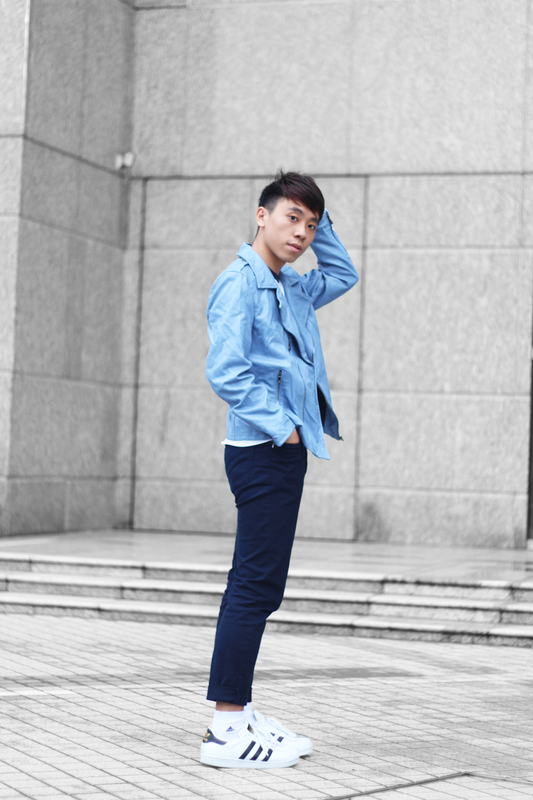 For this outfit, it's the combination of the colour blue and white. It is very important to make sure the colour of the top and the bottom are different or slightly different just like what I did. 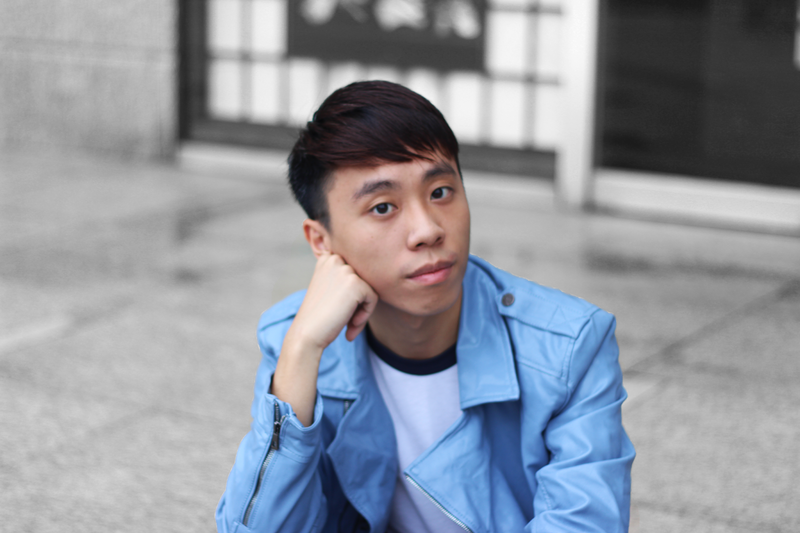 I was wearing light blue jacket and dark blue jeans. They go perfectly with each other! I really love wearing baby blue clothing!! They're so perfect for spring! Btw I've been wearing the adidas superstar for two years and they're still so clean haha!! You looking great! Do you shop at HBX? It's a HongKong based store so far I know.